A 112-mile-long stretch of islands beginning at the southern tip of Florida’s mainland and stretching out into the ocean, the Florida Keys are a national marine sanctuary. 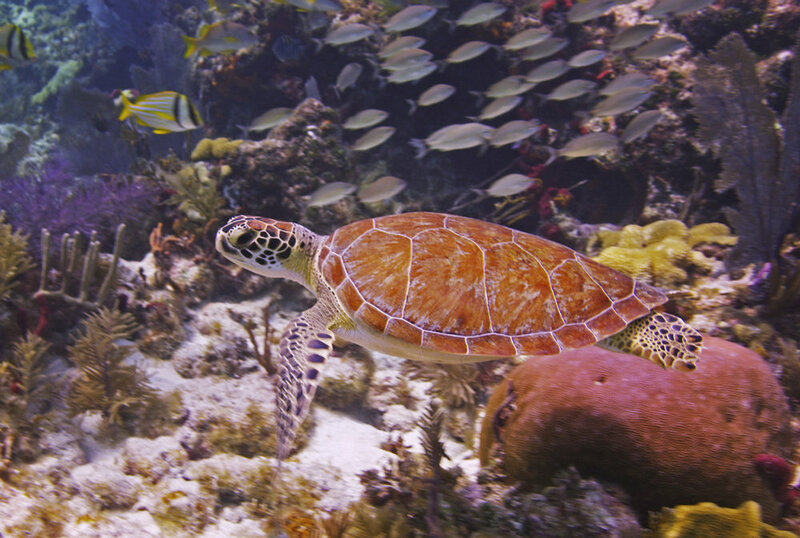 The Keys are home to the world’s third largest coral reef and only living coral reef in the continental USA. Extremely rich in culture, these islands have a little bit for everyone. Whether you’re interested in the Native American and Spanish explorer history, the hundreds of shipwrecks that fueled the economy for decades, the ingenuity of the railroad that most said could never be built, the area that inspired Ernest Hemingway’s greatest novels, Harry Truman’s creation of the “little White House” or simply having a margarita with Jimmy Buffet, the Florida Keys has it all! Everything is relaxed here. There is no need for designer clothing; island shirts, flip flops, and beachwear are welcomed everywhere. Each key has its own flair, its own personality, and its own scrumptious cuisine. We encourage exploring them in the order that you encounter them, beginning with Key Largo and ending in Key West. 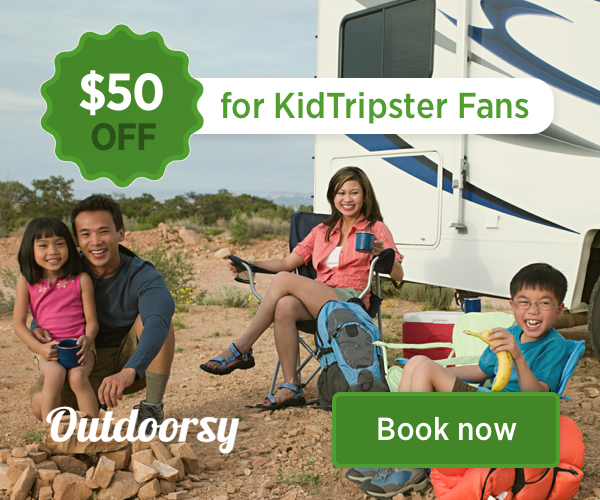 KidTripster Tip: How long should I plan on staying? You can explore the best of the Keys in a 3-day weekend. But you’ll find so many unique and fun things to do that you’ll likely begin planning your next vacation here as soon as you leave. As soon as you get to the Keys, you’ll want to get out on the beautiful water. And you should! The perfect place to begin is John Pennekamp Coral Reef State Park (102601 Overseas Hwy.) in Key Largo. As the first undersea park in the USA, this is a true gem. You’ll find canoe and kayak rentals, guided snorkeling and scuba adventures, and glass-bottom boat excursions. We selected the glass-bottom boat and are so glad that we did. We were transported out to the coral reef where our extremely knowledgeable and personable guide pointed out all the features of the beautiful reef and varieties of fish visible just a few feet away. Our trip was highlighted when a shark swam directly below us, and we saw a barracuda attack right in from our eyes. My six-year old loved it! As soon as we finished, he said, “When can we do this again?” Air-conditioned and stroller-friendly, it felt like we were snorkeling; we just didn’t get wet! Cost: Youth (under 4) Free; Youth (4-11) $17; Adult $24. As you head further south down the Overseas Highway, plan on stopping in Islamorada for lunch, shopping, and some water adventures. Robbie’s of Islamorada (77522 Overseas Hwy.) is famous for its mix of eclectic shopping, food vendors, and tarpon feeding. Robbie’s also offers deep sea fishing tours (best for kids 12 and over who have the patience for 4-hour tour), snorkeling trips, kayak and jet ski rentals, plus water and land tours of the area’s history. Kids also can participate in the famous tarpon feeding, which involves dangling small fish over the dock to feed the larger gamefish. Tarpon feeding cost: $2 to walk to tarpon area, $3.50 for bucket of fish. Other tour costs: vary by activity. KidTripster Tip: Crowds build at Robbie’s as the day goes on. Try to get there in the morning. If you’re looking to learn about the history of the Keys in a fun, family-friendly way, head to Crane Point Hammock Museum and Nature Preserve (5550 Overseas Hwy.) in Marathon Key. A beautifully-maintained museum highlighting the history of the islands’ inhabitants (human and animal), Crane Pointe is visually stunning and offers plenty to touch! Be sure to take the nature trolley tour included with your admission. Your guide will give you an in-depth education on the environment and history of the Florida Keys. The frequent stops along the way to walk or feed the fish kept my boys very engaged. Cost: Youth (under 4) Free; Youth (4-14) $10; Adult $15. Eventually you and your family will want to dip your toes in the ocean. Sombrero Beach in Marathon Key is a great place to unwind, take a stroll, and let your kids run free or build sandcastles. It also features easy parking, picnic shelters, and a fantastic playground. KidTripster Tip: Make your stop here in the early evening to avoid the midday rays. You’ll be rewarded with an unbelievable sunset. Another great family-friendly option near Marathon is the Dolphin Research Center (58901 Overseas Hwy.) in Grassy Key. For more than 30 years, this research and education center has been teaching visitors about dolphins and California sea lions. The laid-back staff is happy to answer questions and give visitors up-close opportunities with these animals. Multiple sessions with the animals happen each day, including play times and times to observe natural behaviors. The animals are never forced to perform but enjoy delighting guests with leaps, jumps, and vocalizations. In addition to animal shows and talks, Dolphin Research Center offers hands-on experiences for additional costs. Families can choose from a multitude of options including swimming with a dolphin, painting with a dolphin or simply meeting a dolphin. Cost: Youth (under 4) Free; Youth (4-12) $23; Adult $28. Hands-on experience costs: vary by activity. When you finally make your way to Key West, begin with the Conch Tour Train (303 Front St.). This tour is iconic and has been delighting visitors since 1958. From start to finish, the tour lasts 90 minutes, but you can jump on and off as much as you wish throughout the day. Trains run every 20 minutes, so you’re never waiting very long. During your ride, you’ll be entertained with insider stories about the island and its most famous guests. The train is a great way to get a feeling for where everything is so that you can better plan your day. The staff is very accommodating about letting families bring their strollers aboard. Cost: Youth (12 & under) Free; Adults $31. If you’re looking for a great family photo op, be sure to head to the Southernmost Point Buoy (Whitehead St. & South St.). This colorful landmark designates the southernmost point in the continental USA. From this spot, it’s only 90 miles to Cuba. KidTripster Tip: There’s often a line down the sidewalk of people waiting to take this picture, so shorten your wait by either heading here early or come late. We came after sunset, found an extremely short line, and just used the flash on our camera. Perfect picture! Set right in historic downtown is Nancy Forrester’s Secret Garden (518 Elizabeth St.). Nancy is a local legend and lover of marine animals, tropical birds, and the rainforest. She has a sincere heart for educating children about the proper care of these animals. She has opened her home and dedicated her life to caring for injured birds and helping them find forever homes. Her backyard is an oasis of tropical plants native to these birds’ natural habitat. She tailors her presentation to the children in the audience; my 6-year old didn't want to leave. Cost: $10. A great way to end your day on Key West is to take the sunset cruise with Fury Glass-Bottom Boats (2 Duval St.). Departing from the port of Key West, this boat is a relaxing way to once again see the beauty of the coral reef up-close. The personable staff treats its passengers to snacks, sodas, and a champagne toast at sunset. Make sure to bring your camera for this one. Sunsets from Key West are truly breathtaking. Youth (under 4) Free; Youth (4-12) $33; Adult $48. Looking for an adventure with older kids that includes a seaplane? Read our review of Dry Tortugas National Park, click here. For the perfect breakfast, lunch or dinner spot, try Key Largo Conch House (100211 Overseas Hwy.). Tucked away in a private tropical setting, this restaurant looks like a classic Key West cottage. Featured on the Food Network, Travel Channel, and Discovery Channel, the Key Largo Conch House showcases some of the most unique and delicious cuisine that you’ll find in the Keys. Key lime pancakes, cracked conch Benedict, gator bites, award-winning conch fritters, coconut macadamia paninis, snapper Rockefeller wraps, and Caribbean shrimp with plantains are just a few of the meals that will make you want to keep coming back. The children’s menu is expansive. Our young seafood connoisseur gave the fish and chips two thumbs up. KidTripster Tip: The coconut key lime cake is legendary and makes surprise appearances. Be sure to ask for it early, in case there are only a few slices left! You’ll want to eat one there and take another to go! If you head to Robbie’s in Islamorada for fishing or just to feed the tarpon, you can’t leave before stopping at The Hungry Tarpon (77522 Overseas Hwy.). The restaurant is located right on the beach, but that’s not what makes this place special. The Hungry Tarpon will prepare and serve any fish or lobster that you catch and bring (cleaned) to the restaurant. The views are beautiful, the food is hot and fresh, and the drinks are ice cold, but allowing a tween to eat the fish he just caught in the Atlantic? Priceless. While in Marathon Key, Burdine’s Waterfront Grill (1200 Oceanview Ave.) is a must stop. Set right on the water, Burdine’s instantly puts you at ease. The food is spectacular on its own, but everything just tastes a little better when you’re sitting outside enjoying the boats driving by and the breeze from the fans above. Locals love this place and hope that word doesn’t get out. Make sure you start out with a basket of fries sprinkled with their famous “fry dust.” Burgers, sandwiches, wraps, and fish – everything here is low-key, affordable, and amazingly delicious. Burdine’s is perfect for the family. There were so many great things to look at that my two-year old was kept completely occupied. If you’re anything like us, you’ll find yourself lingering here and just enjoying the ambiance and a piece of deep-fried key lime pie. Oh yes, you have to! Tarpon Creek Bar and Grill (13205 Overseas Hwy.) in Marathon offers families a laid-back place to grab lunch or dinner with great views of the water. Don’t be fooled by the tiki bar atmosphere though; this place offers incredible food from the fish tacos to the watermelon salad. The kids’ menu offers typical options but also includes fish fingers. My middle son prefers his pizza without sauce, and the staff happily accommodated him. Before you leave, make sure you walk out on the dock and take in the incredible view one last time. It wouldn’t be a family vacation without ice cream. There are two establishments that are worth the stop: Sweet Savannah’s (8919 Overseas Hwy.) in Marathon and Mattheesseen’s (106 & 419 Duval St.) in Key West. Sweet Savannah’s is more than an ice cream shop; it’s a destination. We knew that we were in for something special when we saw the size of the line! But it’s always fast-moving, and there’s always somewhere to sit in the spacious interior. If you’re not in the mood for ice cream or if you have some extra room, be sure to try one of their signature cupcakes: bacon maple, bananas foster, dulce de leche, s’mores - to name just a few, plus coffee, cappuccino, specialty teas and sodas. Sweet Savannah’s has it all. It even has a reading nook for your little ones to enjoy and local island souvenirs to peruse. When you make it to Key West, be sure to stop at one of Matthesseen’s two locations - both on historic Duval Street. Everything here is made on location. Homemade ice cream, cookies, key lime pie, and fudge are just a few of the specialties. The extremely polite servers will allow you to sample whatever you’d like. But know, it’ll just make your decision all the more difficult. So be sure to take a break from your Key West adventures and pop in here or do better than that and stop at both locations! When looking for a place to stay in the Keys, it can be hard to narrow down the hotel and location. Our family chose to stay in Islamorada - which is located in about the middle of the Keys and central to just about everything (except Key West) - at the Islander Bayside Townhomes — a Guy Harvey Outpost (81450 Overseas Hwy.). The Islander Resort is a large property on the Atlantic side of the island, while the Bayside Townhomes sit on the Florida Bay. The bayside property itself is relatively small but provides beautiful water views and spacious accommodations with two bedrooms, one and a half to two bathrooms, a full kitchen, and living room with a fold-out couch. Each townhome also includes a first and second floor patio, most with views of the bay. Guests at the Bayside Townhomes have access to a small pool and small beach on the immediate property as well as access to the larger two pools and spacious beach at the Islander Resort on the Atlantic (although you will need to drive to get there from your vacation home). In addition, the Bayside Townhomes offer boat slips for rent if you are bringing a boat with you and, even if you don’t have a boat, the marina area offers great animal viewing. Our family saw several manatees, a nurse shark, and several jellyfish in the water. We loved having space to spread out inside the townhome, and the kitchen was great for quick breakfasts and lunches. There's also a gas grill on property that guests can use on a first-come, first-serve basis. Two-bedroom townhomes start at $272/night, plus taxes and fees. If you choose to fly into southern Florida and rent a car for the drive down the Overseas Highway, Miami International and Fort Lauderdale International Airports are the closest options. To access the Overseas Highway, the most direct route is the Florida Turnpike, which runs through the state. Once you hit the Overseas Highway, your speed does drop a bit, but the views from the overwater portions of the drive and the bridges are spectacular. Alternatively, you can fly into Key West International Airport, but there are very few direct options. Most flights will route you through either Miami or Fort Lauderdale. Jamie Farber lives in West Michigan with her husband and three sons. Her English degree somehow has led her to a career planning Disney vacations with Mickey Travels. This writer received complimentary stays, plus some complimentary activities and meals for the purpose of this review. However, all opinions expressed are solely her own.